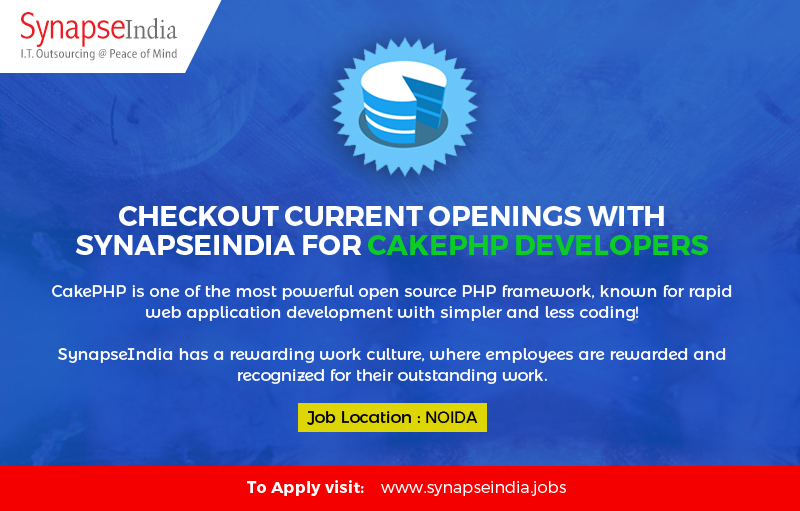 Take a look at SynapseIndia current openings for CakePHP developers. CakePHP is one of the most powerful open source PHP framework, known for rapid web application development with simpler and less coding. Founded by Shamit Khemka in year 2000, SynapseIndia is known for rewarding its employees for their achievements. Our strong team of CakePHP developers comprises in-depth expertise & experience in developing innovative websites and applications using CakePHP framework. We have delivered a large number of CakePHP based solutions to our clients globally. By becoming a part of rewarding work culture at SynapseIndia, you enable your professional growth.